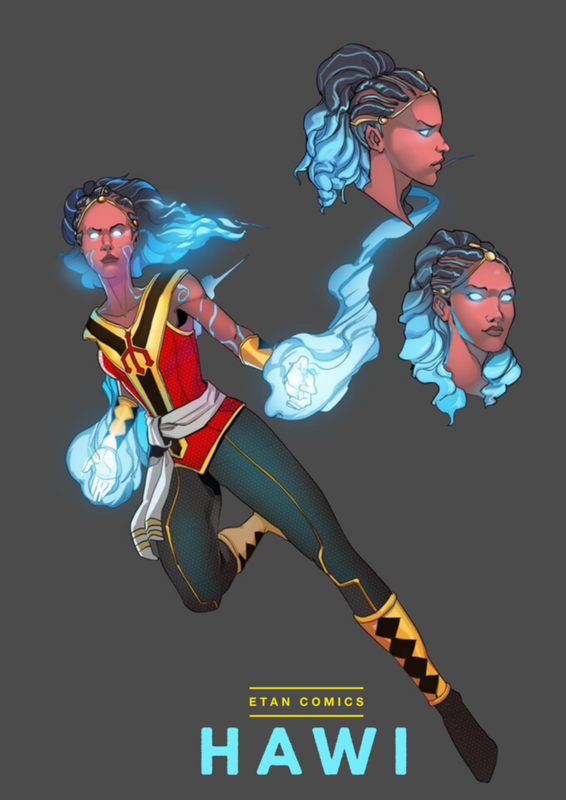 Barely a year since the founder of Etan Comics, Beserat Debebe, brought us the first ever Ethiopian superhero comic, Jember, he's back with yet another first. 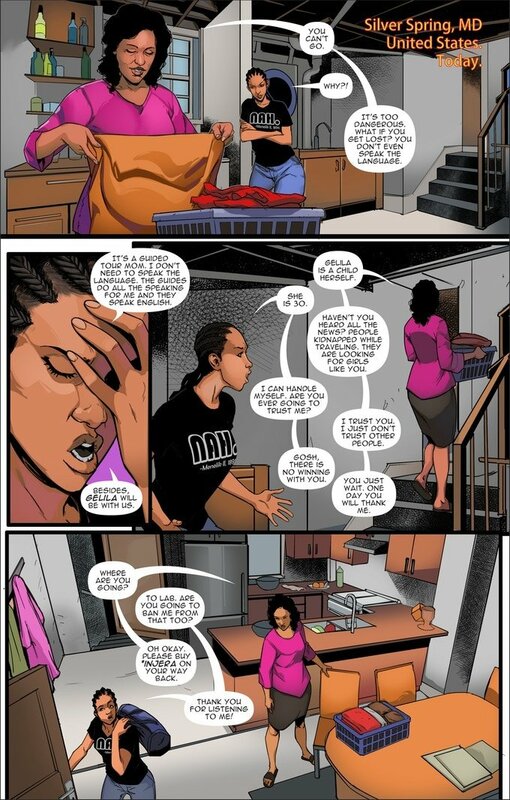 This time, his newest comic book Hawi centers a female superhero, a young Ethiopian woman named Ement Legesse, who is tasked with having to rescue her mother after she's abducted. The colorful visuals are stunning and showcase Debebe's talented team of African artists and their unique ability to capture the vibrancy of Ethiopia. A story about returning to one's roots and having the courage to rise above the challenges that come with seeking reconciliation and belonging, it's one we can all relate to whether literally or figuratively. "The fact that Hawi is Ethiopian means a lot to me," Debebe tells OkayAfrica. 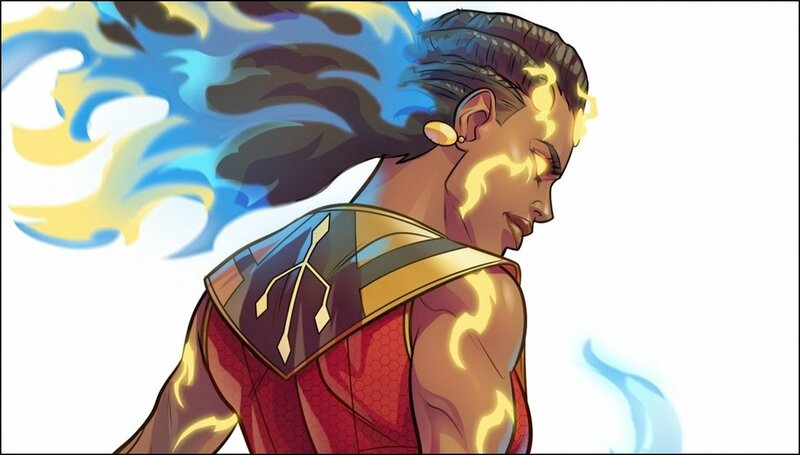 For the 29-year-old creator of Etan Comics, having an Ethiopian superhero is meant to normalize the idea that Ethiopians and Africans in general can have an impact on the world. "I wish I had seen an Ethiopian superhero growing up," he says. "I would have embraced my ability to make a difference earlier and acted on it." Debebe feels that people are their own barriers to progress and that their perceptions of themselves are a result of they and see and subsequently internalize. "Most of the time, the way we think about ourselves is the main barrier to our own progress," he says. His biggest hope is that all of his superhero characters take away these barriers and allow boundless imagination among African youth. "And have as much fun as possible doing it!" he adds. While Hawi focuses on how a young woman discovers and comes into her own power, there is another powerful and feminine figure: Ethiopia's Queen Yodit Gudit. Queen Yodit, who was alive circa 10th century AD, earned the nickname "Esato" which is Ahmaric for "fire" among her Ethiopian people. Not only did it speak to her fiery spirit but more so her reputation for burning down architectural landmarks as well as churches following her great conquests. As centuries have gone by, the motives behind a number of things she did have been eroded by time and become lost along the way. However, they may very well become reborn in Ement. Hawi is a beautiful interweaving of the past and the present. It is a historical fantasy that is set in modern-day Ethiopia and draws from the mysteries of the kingdoms and queendoms of Ethiopia's rich past. This seems to be a signature style for Debebe who, in his first comic Jember, explored the ancient East African civilization known as the Kingdom of Punt. Hawi is almost complete although Debebe has set up a kickstarter to ensure that the remaining costs of production are covered. The comic book will be available in both Ahmaric and English translations.